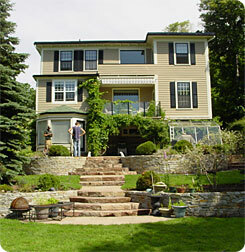 The realization of your dreams for your garden starts with an initial consultation to explore your needs and desires. From there conceptual ideas evolve into a master plan and construction information leading to the creation of your beautiful new garden and landscape. Throughout the process, our experts provide advise, information and if required coaching support. We match your design construction documents with the very best contractors to guarantee a high quality result. We are able to design, specify and source any product, service, or item for private gardens. We can help you create a beautiful environment that adds considerable value to your real estate investment and enjoyment for you and your family for years to come.